Immerse yourself in a playful, imaginative world of STEM stories. 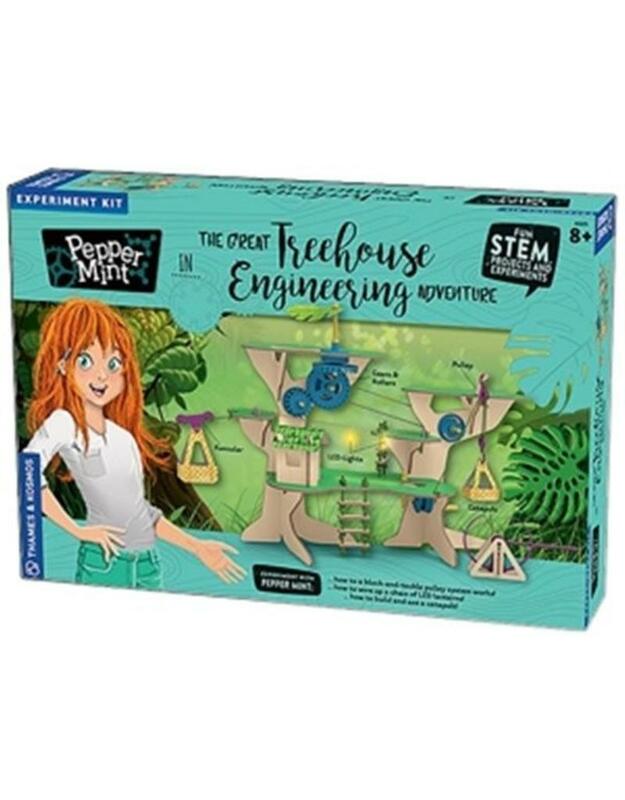 Pepper Mint is a new line of STEM kits with experiments and activities that follow the adventures of Pepper Mint, a curious, skillful, and creative young engineer. The experiments are presented in storybook manuals with beautiful illustrations and step-by-step instructions. As you read the stories of Pepper Mint's adventures, you do the same projects and experiments that she does in the story. After assembly, the large wooden models of a treehouse and a boat become playsets where a child's imagination can run free.